154 mins. Rated PG-13 for intense prolonged sequences of sci-fi action violence, mayhem and destruction, and for language, some sexuality and innuendo. C’mon, people. Robots are fighting. Things are blowing up. 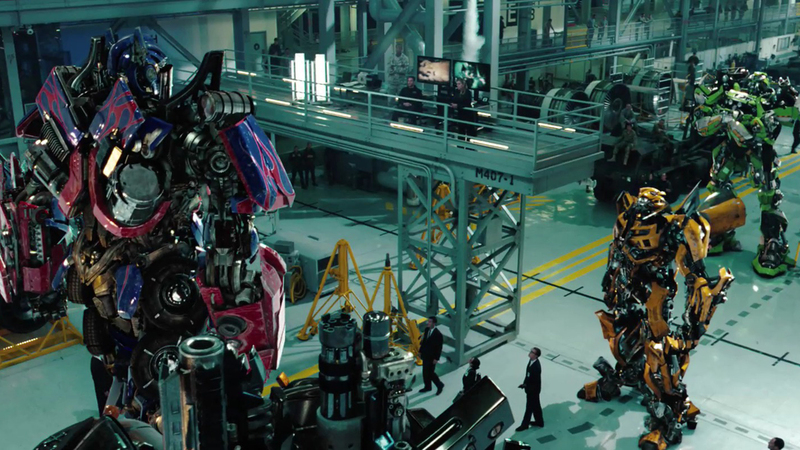 Of course it is a Michael Bay (Armageddon, Pain & Gain) movie! Sam Witwicky (Shia LaBeouf, Lawless, Fury) is now finished with college and trying to make a life for himself. His only claim to fame is saving the world twice, which he isn’t allowed to mention (even though I’m pretty sure that he is called out in the previous film by name over the television airwaves, so I imagine he wouldn’t have to hide it). He has a new girlfriend, Carly (Rosie Huntington-Whiteley, Mad Max: Fury Road) and a new home, but no job until he meets Bruce Brazos (John Malkovitch, TV’s Crossbones, Dangerous Liaisons) who grants him one. Meanwhile, the Autobots and NEST are coming under heavy fire from Charlotte Mearing (Frances McDormand, Fargo, Promised Land) who believes that NEST should be restructured or disassembled. The Autobots have been busy trying to uncover the mystery of an Autobot ship that crashed on the moon and caused the space race. Screenwriter Ehren Kruger (The Ring, Blood & Chocolate) seems to have learned from the mistakes made in the previous installment. The basic plot structure of this film has reeled it back to where it becomes very simplistic. In fact, the finale of the film is the entire last half. Now, I will admit that there are definite pacing issues. So much of the minutia of the first hour feels unimportant until the major event about halfway through, involving an invasion of Chicago. Once that happens, there are a lot of Chicago set pieces. A lot. I mean it. The film could’ve chopped a few scenes off. Two and a half hours long is reaching for a Transformers movie until they learn about how plot and character development work. The actors and actresses seem better in this film when compared to the previous installment. Patrick Dempsey (TV’s Grey’s Anatomy, Valentine’s Day) is one notable exception as Dylan, Carly’s boss who helps Sam get his job but has some secrets of his own. He is absolutely awful, and I like him normally. Rosie Huntington-Whiteley actually succeeds at performing worse than Megan Fox did. I don’t know how, but she did. We get a lot of awesome battles, specifically a few involving Shockwave, a massive beast of a Decepticon who can take down skyscrapers with ease. The visual effects continue to impress in this series. 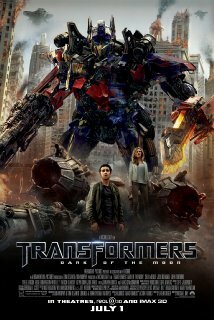 Transformers: Dark of the Moon doesn’t get nearly as much right as the original film, but is more of an achievement than Revenge of the Fallen was. It gets a lot more on track, but it still comes down to likable trash. Worth a see, but still mostly for major fans.